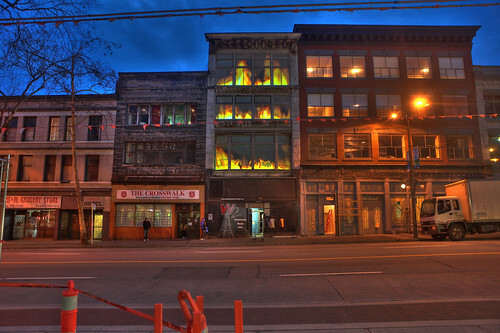 This photo essay originally posted over at Kris Krüg‘s Vancouver photography blog Static. 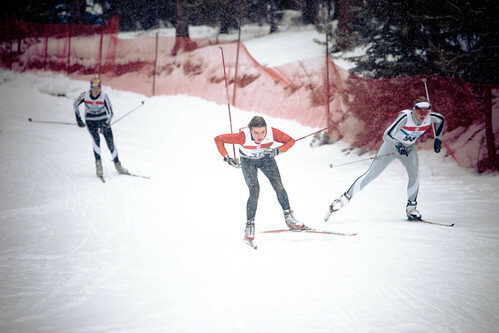 The 2010 Winter Olympic Games are upon us and things are heating up around Vancouver. You can feel the energy in the city as all the last minute details are pulled together for this huge event. The team at Static Photography has been out and about making photos of all the action and we have pulled together some of our favorites. You can find more Vancouver 2010 photos than you know what to do with here, but for now check out this first week of February in Vancouver with the Winter Olympic Games just around the corner. 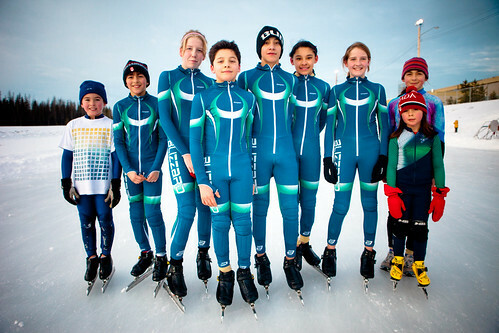 We got a tour of Prince George, starting first with speed skating lessons from the speed skating youth team. These kids are fast! 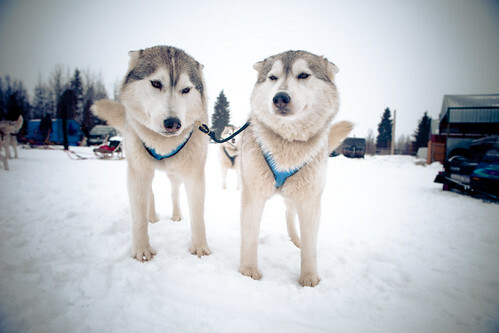 These cute dogs were part of DogPower which gave us a dog-sledding tour through Prince George. 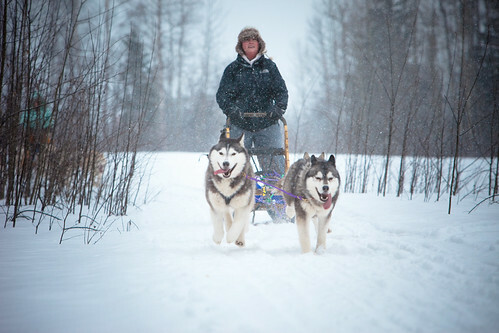 Dog-sledding was a great way to travel the back country of Prince George. Prince George has a huge ancient forest with trees that are hundreds of years old. 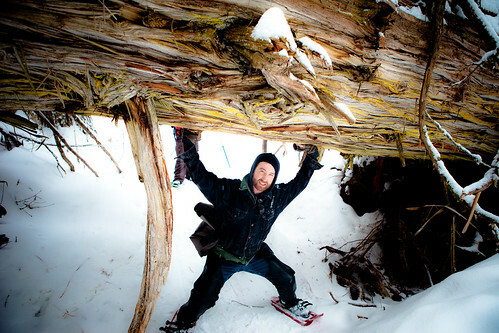 Static Photography’s Kris Krüg had a chance to prove his strength by holding up this fallen tree. 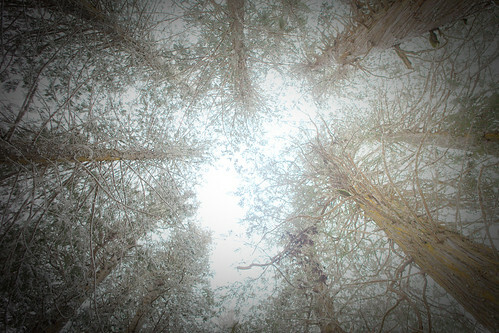 The ancient forest in Prince George provided a great canopy for the long winter hike. The Prince George Coldsnap Music Festival showcases some of the best in Canadian musical talent. 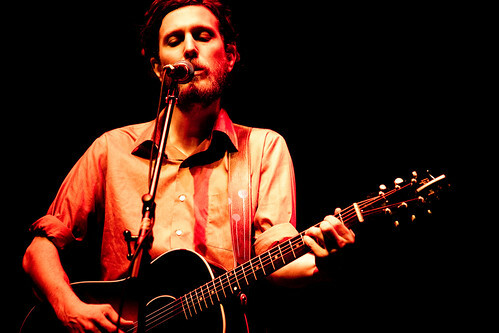 The Great Lake Swimmers were at the festival this year, headlining the main night. to another torch bearer, which is called a ‘kiss’. 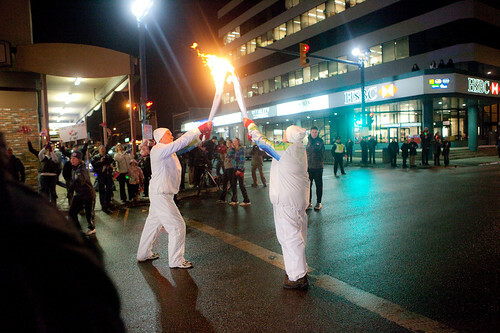 There was a festive torch celebration when the Olympic flame was brought Prince George. 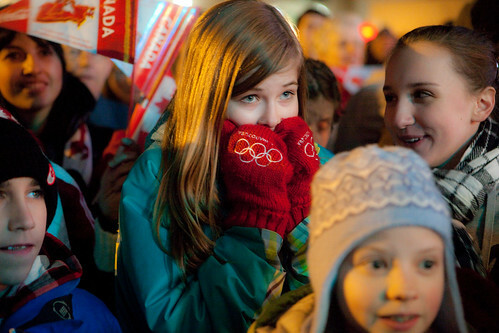 The entire town was a captive audience when the Prince George cauldron was light by the Olympic flame. 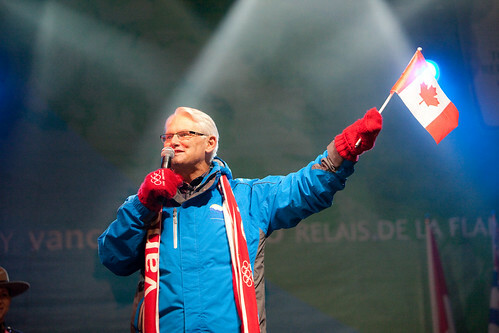 Premier Gordon Campbell is obviously the Olympics biggest fan and has travelled around the country following the torch along its journey. 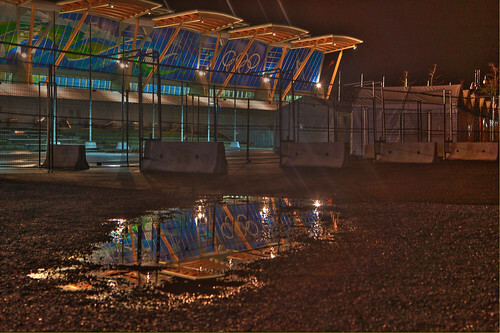 The Richmond Oval is a venue that was built specifically for the Olympic Games. This venue will hold the speed-skating events. 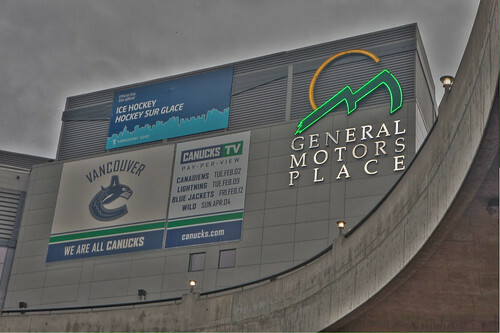 GM Place will be renamed Canada Hockey Place during the Olympic Games. All of the hockey events will be held at this venue during February. Many changes have taken place in Vancouver during the preparation for the Olympic Games. 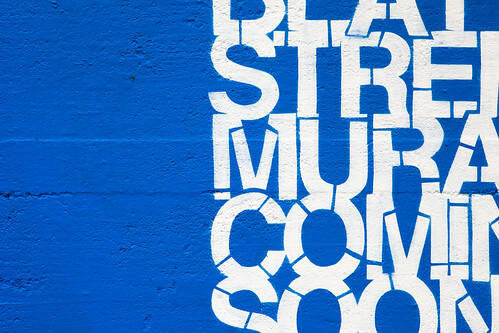 A long standing Beatty Street mural was covered in the prep but is being repainted by local Vancouver artists. For the first time ever in Olympic history, the Cultural Olympiad has a digital edition called CODE. 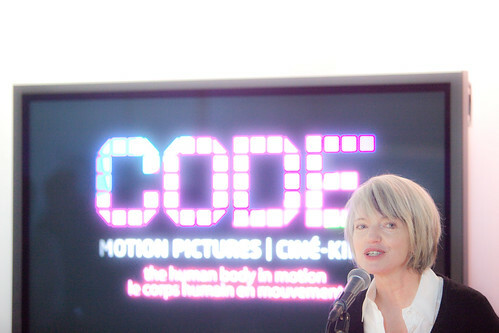 Rae Hull is the Creative Director of CODE, which is has four parts, Canada CODE, CODE Screen 2010, CODE Motion Pictures and CODE Live. This is the CODE Live 1 at Great Northern Way Campus in Vancouver. Wang Yuyang is showcasing his media installation Artifical Moon, which illuminates the entryway of CODE Live 1. The 2010 Vancouver Cultural Olympiad has some public art installations around the city. One of these art installations is Fire with Fire by Isabelle Hayeur and is located in the W2 Woodward’s building. 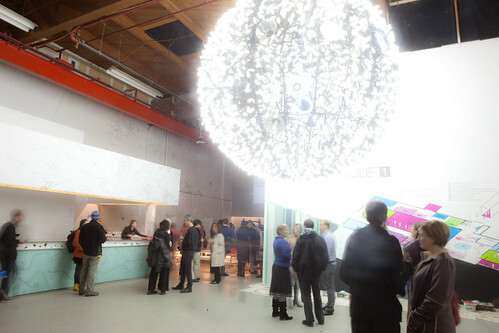 The 2010 Vancouver Cultural Olympiad has curated over 60 days of arts, theatre and dance performances. 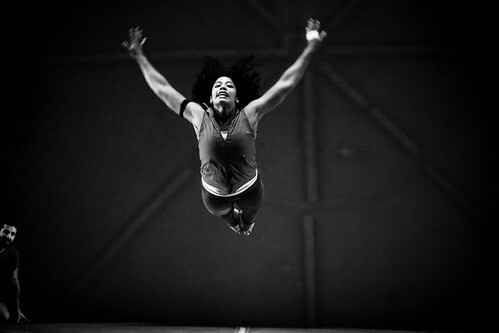 The opening weekend showcased Elizabeth Streb’s show Streb: RAW with its amazing acrobatic feats of human flight. We spent the weekend in Whistler with Tourism BC. Chris has been making videos while following the Torch through its journey of Canada. 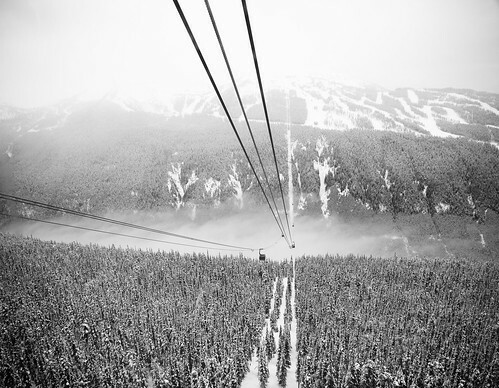 The Peak to Peak Gondola takes you from the top of the Whistler Mountain to the top of the Blackcomb Mountain. 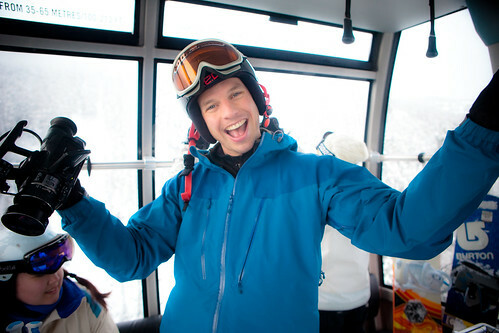 This was part of our snowboard adventure with Tourism BC. store when the Games are finally here! Definitely make sure to check back for more photo essays during themonth of February! Here is a slideshow of the images from this photo essay. Feel free to share this on your blogs and your networks under a Creative Commons license. Please make sure to link back to Static Photography!